Japan Karate Association, Dalgety Bay is a well-established Dojo and has been in the same location for over 30 years. The Dojo is led by Instructor Sensei Bert Stewart 5th Dan Black Belt (JKA), who is fully qualified and registered with the Scottish Karate Governing Body and sanctioned by Sports Scotland. 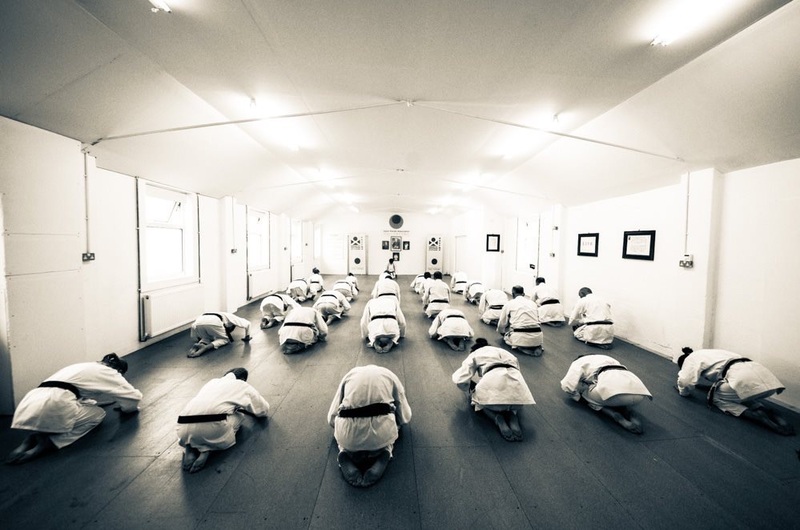 Our classes offer training in all aspects of Shotokan Karate and we welcome all age groups, whether beginners, experienced students or those who may be returning to karate after a period of absence. Training is provided on a personal level with the support and guidance of Sensei Stewart, as well as mentoring from other senior grades and students. If you are interested in training in a safe friendly atmosphere you are welcome to come along to one of our classes, you can join in or watch on the first evening. All you need is your bare feet, loose clothing and enthusiasm! As part of the Japan Karate Association, we practice a refined form of Shotokan, the traditional karate style perfected by Master Funakoshi. Our karate is not a game of points, weight classes or sport / demonstrations. It is a traditional martial art and way of life that trains our students to be peaceful, but if conflict is unavoidable, our students are trained to take down an opponent with a single blow. This requires strength, speed, focus and control, but these physical aspects are only part of the practice; they are just the vehicle, not the journey itself. Through kihon (basic techniques), kumite (fighting skills) and kata (pre-set sequences of techniques) we learn to control our movements such that we can perform the techniques without thinking about them. In essence, the body remembers how to move and the mind remembers how to be still. Constant learning and personal development. Being able to set and achieve goals. If you would like to learn more about the Japan Karate Association, our club or how to join us, please drop us an email or call us on our contact details.